The ultraviolet radiation from the sun that reaches the earth’s surface can harm us by penetrating our skin layers. While small amounts of UVB are good for us because they help us make the Vitamin D we need for bone health, prolonged exposure to UVA and UVB can damage our DNA, age our skin and promote potentially deadly skin cancer. So where does sunscreen come into all this? Sunscreen protects your skin in two ways: physically, by deflecting UV rays, or chemically, by absorbing UV photons that harmlessly evaporate as heat. Application: While sprays might be more convenient, they may not allow you to get a thick enough layer. You also risk inhaling sprays when applying them, which risks unwanted health problems. SPF: SPF is an indicator of how much UVB rays the sunscreen is able to block. 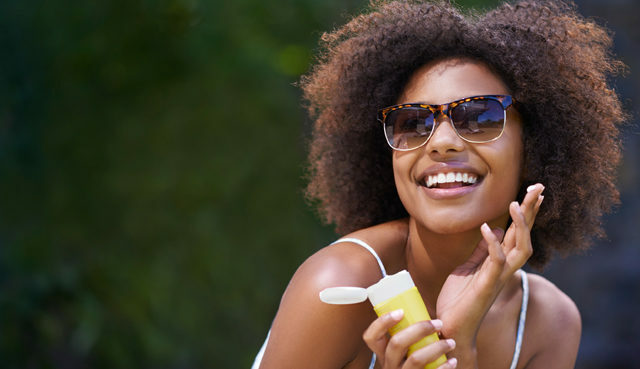 A higher SPF indicates better protection, but not by much. SPF 15 blocks 93% of UVB rays, SPF 30 blocks 97% and SPF 50 blocks 98%. Knowing which one will suit you best depends on your skin type, when you plan on being in the sun, where, for how long and what you plan on doing. Ingredients: When considering the ingredients in your sunscreen, choose ones with mineral-based formulas that are less irritating for your skin, and better for the environment. Carbon-based chemical sunscreens harm marine life, particularly coral reefs that are home to nearly 25% of all fish species. This video gives a bit more information about sunscreens. Now, go use your new knowledge to buy some sunscreen. Do your best to protect your skin this summer!